Here's one of two singles which are the result of a recent collaboration between Senmuth and Lyuba Kolesnik, the vocalist of Nakka. It also contains the instrumental version of the title track, and intro/outro (both are instrumental too). 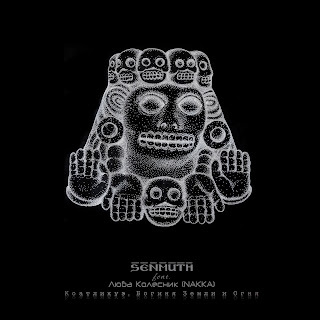 The music generally reminds me of Tenochtitlan rather than of Senmuth's solo works. Like in case with "Tezcatl" by Tenochtitlan, "Coatlicue..." is a concept work inspired by the Aztec mythology.